To be clear, we're only looking sets that are at least 46 inches—go big or go home. And though there are some nice 720p plasmas out there for amazing prices, the majority of TVs we're concerned with are 1080p—it's the standard now, even in cheap HDTVs, and probably the only resolution you'll see next year. We focus on LCDs quite a bit here, not because we prefer them, but because there are key enhancements that can be put in LCD technology to make them look better. With plasma, the problems—energy consumption, weight, thickness—are more of an evolutionary, year-to-year thing. A cheaper plasma often is one that's just using older technology. Also, we're using Amazon as our pricing base line, since it's on average a good standard for low but legitimate street prices, and we use Samsung examples a lot because they have a ton of different models on the market, so it was easier to isolate individual features, and to gauge subtle differences in pricing. 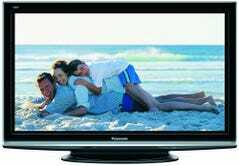 Take for instance, Panasonic's plasma G10 series. It's $200 to go from the 42-inch model to 50, and then $400 to go up to 54. So the sweet spot is at 50 inches. Similar thing happening with Vizio's XVT line: Going from 42 to 47 inches is just $250, though going up to 55 from 47 costs about a a grand. Hence 47 inches makes the most dollar-per-inch sense if you like that TV. The real lesson here: Don't think of size as a foregone conclusion. When you've narrowed down your options using all the criteria, go back and check the sizes and relative prices. There may be a surprise, hopefully good but possibly bad. Everything after size you can roughly sweep everything you'd pay more for into the category of performance. The grand trick of buying TVs though, according to our friend Gary Merson of HD Guru, is that "the TV industry is setup like the car industry." Just like buying a Corvette to battle your mid-life crisis because it vrooms real good, when you pay extra money for extra horsepower, you're also going to get leather bucket seats and the in-dash GPS. It's hard to buy a stripped-down car that just delivers better performance, and the same goes when you're trying to scrimp on a TV without compromising picture. In the case of TVs, a higher performer might come with a million HDMI jacks or integrated Wi-Fi and video on demand, and you never know exactly what you're paying for. Fortunately, we can break performance into a two major categories so it's slightly easier to interpret those price differentials: Backlight (for LCDs) and panel quality. The single most expensive upgrade for LCD TVs right now is LED backlighting. 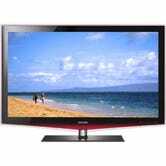 As we explain here, there are a bunch of advantages to LED over conventional CCFL backlighting for LCD TVs. Which particular advantages you pick up depends on the kind of LED backlighting in the set. While both offer instant on and power savings, edge-lit models mainly deliver serious thinness, while backlit sets can offer local dimming, which delivers noticeably better black levels and contrast. So yes, backlit LED sets with local dimming tend to cost more. Sony's year-old Bravia XBR8 uses tri-color LEDs to improve color accuracy over the most LED sets, which use white ones. Though its production is discontinued, it's still nearly $2200 at 46 inches. However, Toshiba consistently delivers cheaper sets than most of its fellow "name" brands, and their 46-inch LED backlit set with local dimming is just $1700. The panel is the other major thing that determines how good an HDTV actually is, and it applies to both LCDs and plasmas. Typically, as you move up in price, you get a better panel. Cheaper sets generally use older panels with previous-generation tech that Merson says have a poorer viewing angle, so there's a smaller area you can actually stare at on your TV to get a good picture. The problem is that no TV manufacturer actually declares its panel attributes on the box, so you're often on your own to figure it out. The best way is to go to the store and check out the viewing angles. Hertz, for the uninitiated, is simply the number of times per second that LCD TVs refresh their picture. (Plasma isn't part of this discussion because phosphor pixels work differently than liquid crystal ones, and plasma's "refresh rate" would be way higher—to the point of irrelevance.) 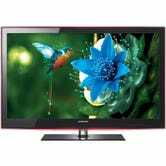 A 60Hz LCD refreshes the picture 60 times a second, 120Hz is 120 times a second, and so on, up to 240Hz in the top-priced LCD sets. A higher refresh rate is supposed to increase the ability to see fast-moving video at its highest intended resolution, and works well in theory, though there are issues with 240Hz execution. 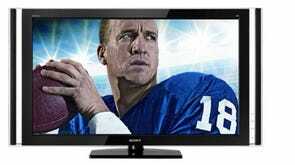 At this point, a minimum of 120Hz is a given on all premium LCDs, says Merson. There isn't one LED-backlit set that doesn't have it. Here's how the refresh-rate step-ups look: The 46-inch Samsung B550 is a standard 1080p CCFL-backlit set for $1020. Moving up to the same size B650 for $1360—$300 more—gets you 120Hz (plus a higher contrast ratio). Going up again, to the B750 for $1630, another $300, you get 240Hz, and again even better contrast ratio. That's about the top of Samsung's CCFL-backlit line. You can see the same thing with their LED sets: The 46-inch B6000 is a 120Hz LED edge-lit set for $1850. The 46-inch LED edgel-lit B8000 goes to 240Hz, and it costs $2300, about $450 more. As we mentioned, plasmas are a little less complicated, since there's nothing like refresh rates to deal with. On the other hand, the situation may be more obtuse, since you don't always know what the real differences are. Merson says there are a few basic levels of plasma performance. On Black Friday, Walmart is selling a 50-inch plasma for $598 if you don't mind the fact that it's 720p (and branded Sanyo, which is probably Panasonic-based but who knows?). 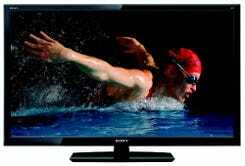 Stepping up to the 50" 1080p plasmas will generally cost $300 to $400 more. There are more issues, however. Panasonic has a new panel called NeoPDP that's more energy efficient, but it's sometimes hard to tell which models have it and which don't. (Hint: Look for the Energy Star sticker.) Finally, you have THX-certified panels that offer nearly perfect calibration right out of the box. Beyond that, contrast ratios do tend to get better over time, but it's relative: At the low end of the HDTV price spectrum, plasma sets have generally delivered better picture than LCD anyway. The funny thing about TVs nowadays is that there's more to them than the screen. Like inputs. Until recently, one thing you got more of by paying more money were more holes to stick things into. That's not really the case once you get up into 46-inch sets—you're gonna get 4 HDMI slots in a set that big no matter what. But, there are other things nowadays. Like video services that come in through other holes, or maybe without wires at all. An example, to use our old friends at Samsung: The B6000 looks a lot like the B7000, but with the B7000, for $180 more, you get online video services via Yahoo's widget engine, like YouTube. Or, let's look at the upcoming crop of LED TVs that aren't even out yet, or are in limited distribution for now. LG's 55LHX and Sony's Bravia XBR10 both have wireless HDMI and 240Hz, but with Bravia Internet Widgets and Slacker radio, the Bravia is $5000, $200 more than 55LHX. Wireless HDMI itself is a pretty pricey feature. Same Sony, compared to Samsung's 8500. The 8500 has built-in video services, but no wireless HDMI, and it's $500 cheaper, at $4500. Oh, and did I mention that the Sony is even 3 inches smaller than the Samsung and LG? Wireless is still in the gimmick phase, but next year, we assume we'll be able to track its price premium as well as we can track size, refresh rate, backlighting and other factors today, $300 to $400 at a time. How do you get from $600 to a $6000? You just add, add some more, and then keep adding. Still something you wanna know? Send questions about addition, subtraction, hertz, aches, pains and LEDs here, with "Giz Explains" in the subject line.